I’ve always struggled with slight weight issues but the pounds really started packing on after the birth of my twins. 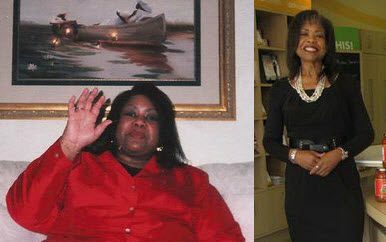 As with most stories of obesity, simple tasks such as tieing shoes, finding clothes that fit in department stores, and fitting into certain vehicles were all issues for me. What many don’t share is the mental impact being overweight has over your life. There were so many opportunities I missed out on because I thought that I couldn’t do certain things, just like I couldn’t lose weight. This is especially true for someone who was struggling with severe depression. I like to call this the “AHA” moment. The moment that hit me like a lighting bolt.. It was a single picture a friend of mine took of me. That picture showed the impact of what “can’t” can do to your life. I researched. Seriously. 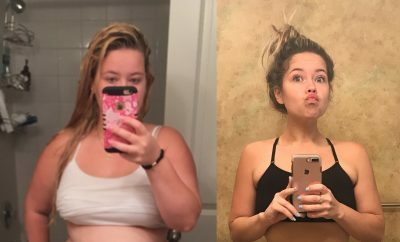 I started looking into losing weight from home, how calories worked and how to stay motivated. I had no money, stayed home with my 3 children (one of which is autistic) and I had to find a way to workout in my tiny living room in our 1000 sqft home. My friend ended up giving me a copy of DDP Yoga to try because all I needed was a yoga mat and water. From there, I started my journey. Within 6 months, I had lost 60lbs. 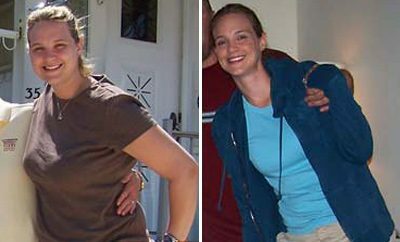 Once I hit my 60lbs weight loss, I ended up being diagnosed with severe cervical dysplasia. 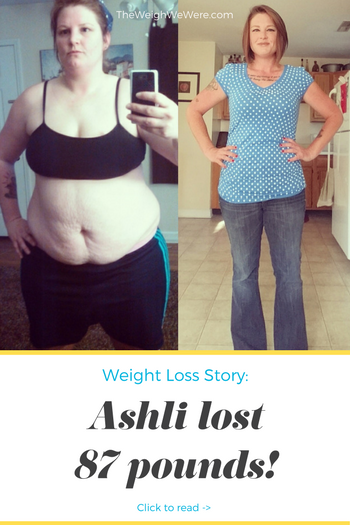 After a series of tests, procedures and doctor visits, I gave up my weightloss journey. My mind just wasn’t in it anymore. I thought it had won when I got back up to 220lbs last year. However, in January of present year, I said that I WILL do it! And I did. Of course! It’s not hard to want to give up if you try to stay motivated all of the time. Motivation is only part of the battle though. It’s dedication that gets your through. The decision that you WILL achieve a goal is just as important as the feeling of wanting to change your life. Back in June/July I hit a plateau. My body seemed to enjoy the 165-170lbs range but my mind had a different goal. I decided to check my food diary and make some changes to see if it would help. Luckily it did and I kept pushing forward. The first 6 months, I was averaging a 10lbs loss a month. My biggest non scale victory was when I hit the normal range for my BMI. I had NEVER been in the normal range in my entire life. Smaller portions and more vegetables. My advice to anyone just starting their own journey is to start with half cup serving sizes. (Even if the food isn’t deemed healthy) You’d be surprised how much that one little trick helps you to cut down on your eating habits. I also eat more fruits and vegetables that I thought I never liked simply because I refused to try them. I never stop moving. Used to, I could sit on the couch for hours on end with no issue. Now if I find that I’m not moving around for an extended amount of time, I’ll get up and lift weights that I keep in my kitchen or walk in place while watching television. I am also finally a member of a local gym and I love it! Stay moving! If you sit to fold clothes, stand up. Washing dishes? Dance around. Watching tv? Walk in place. Portion control. If you struggle with eating healthy, simply start out cutting your portion sizes. Don’t cut out all of your favorite foods right away. Seriously. I find the biggest setback for someone just starting their own weightloss journey is that they try to go cold turkey when it comes to their favorite foods. Start slow. Take things away a little at a time. Eventually you will be able to cut them out completely. Don’t try to stay motivated. I never always want to workout but I am dedicated every single day to achieving my goals. Don’t diet! Diets are for short amounts of time. The key to losing, and keeping off, weight is changing your lifestyle. Find what works for you and stick with it. 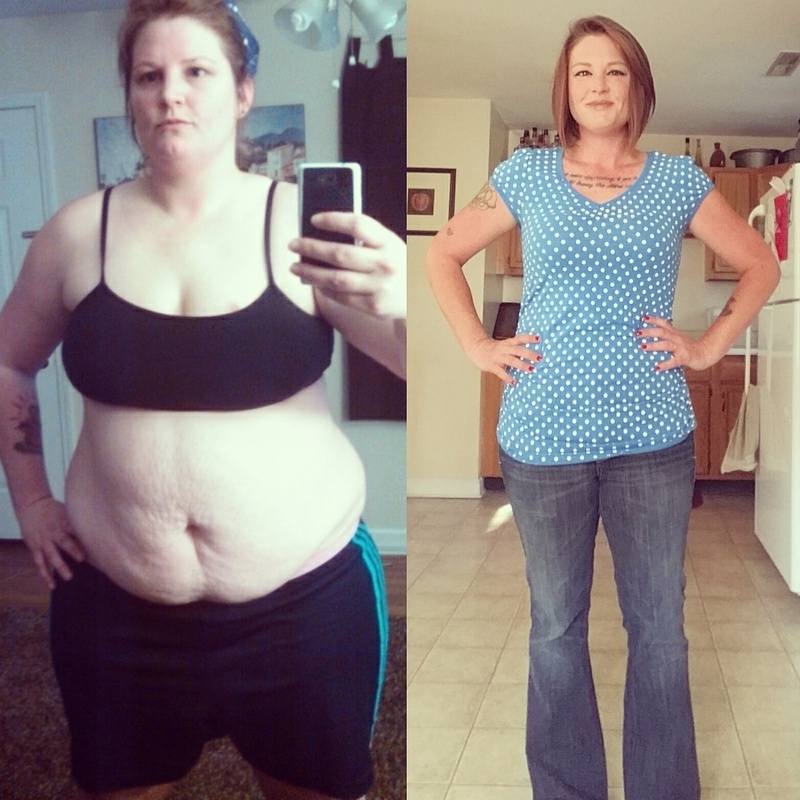 Loved reading your story and now I feel motivated. WTG!! You were beautiful then but even more beautiful now! Way to go, beautiful lady!